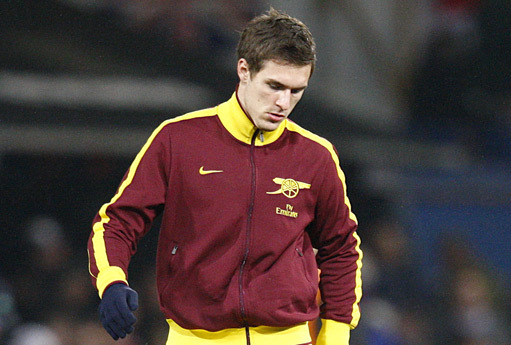 Arsene Wenger has indicated that Aaron Ramsey could leave Arsenal again on loan in search of first team football. The Welsh midfielder returned from his one month loan with Nottingham Forest on January 4 but has yet to play any minutes for the first team. Wenger told journalists at his lunch time press conference that Cardiff could be an option for the midfielder, where the Frenchman has recently sent Jay Emmanuel-Thomas in search of regular competitive football. The manager also said there had been 'plenty of interest' in Carlos Vela and that Henri Lansbury could join another club after his loan spell with Norwich City finishes.